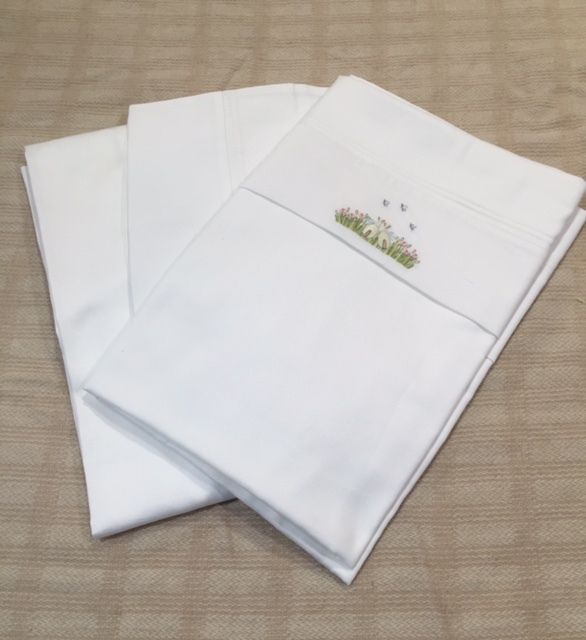 The set includes one flat sheet (121cm x 155cm), one fitted sheet with elastic corners (70cm x 135cm x 19cm), one pillowcase (40cm x 29cm). 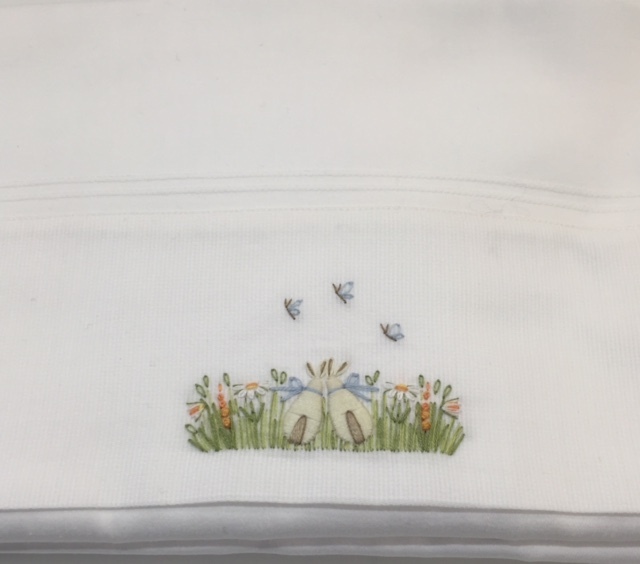 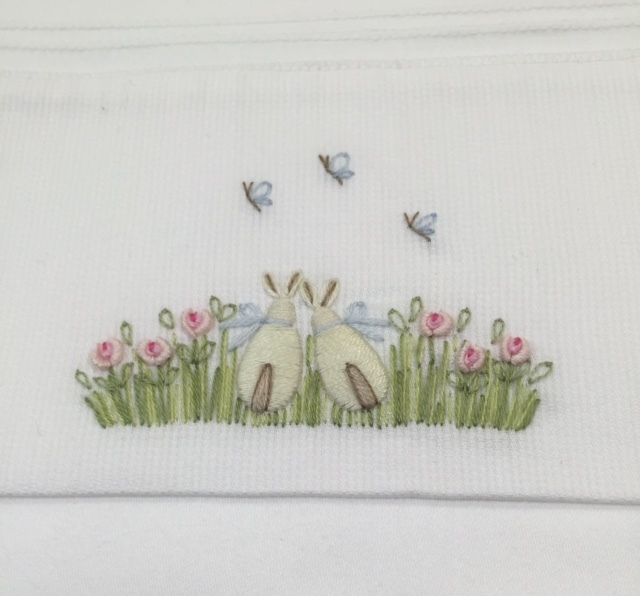 Other matching hand embroidered items and other products for babies and toddlers are available in our Baby Category. 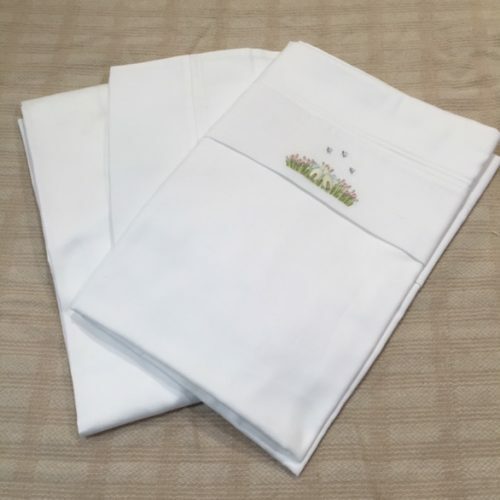 Be the first to review “White Cot Sized Sheet Set with Pink or Blue Trim” Click here to cancel reply.